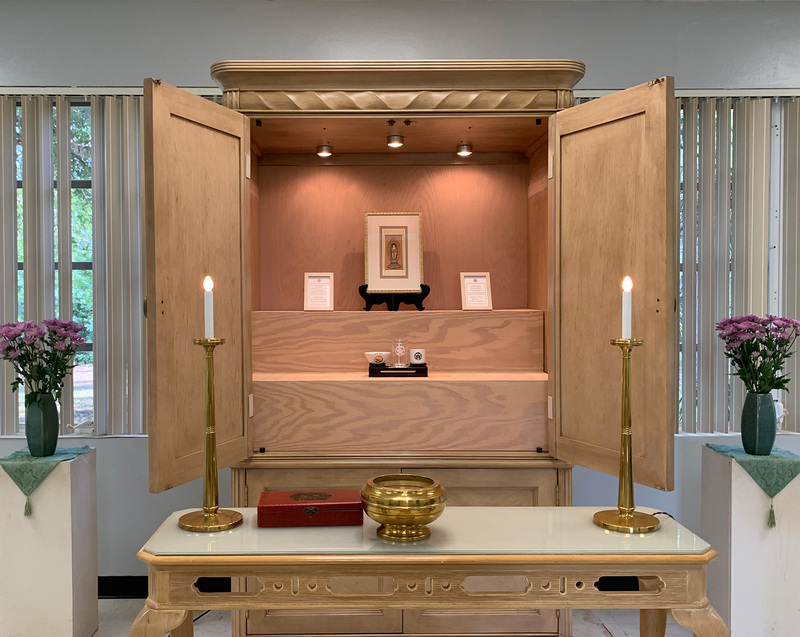 Located in Fort Myers, Florida,the Rissho Kosei-kai Dharma Center of Fort Myers provides a place for meditation and spiritual growth through the study and practice of Rissho Kosei-kai Buddhist principles. We sharing Ekayana Buddhism focusing on the Lotus Sutra. The path of Buddhism is inclusive and available to all. We welcome you to join us in our sangha. We are open Sundays 2:00 – 4:00 p.m.
Rissho Kosei-kai was founded in 1938, combining traditional Buddhist teachings with everyday application, to help bring peace, harmony, and happiness to the world. Through these teachings, we are able to recognize the buddha-nature in ourselves and others. We support each other and our community in the development of awareness, compassion and peace. Together at our dharma center, we discover and celebrate spiritual growth. We share our experiences with each others to build a bond of integrity and strength within our sangha community. Through increased awareness and learning to live in the moment, we have the chance to gain wisdom and compassion for ourselves and others. We carry this practice of positive approach to the larger world in our daily lives. When a stone is cast into water, ripples extend far beyond detection. And likewise, the effects of our actions often reverberate further than we realize.